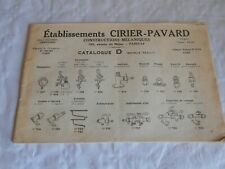 French catalogue for brewery wine makers stills etc 24 x 15 cms 32 pages. 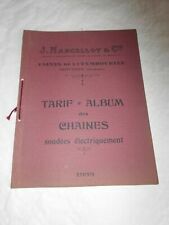 French catalogue 1933 chain makers 27 x 21 16 pages. Problems since father of writer injured. The plate may need trimming/preparation before framing. Notes; 36pp. 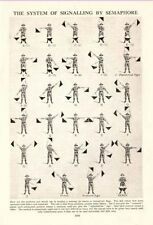 Antique 1815 Hand Colored Folk Art Fraktur Pennsylvania Dutch, Reading Pa. Original Mahogany Frame NO RESERVE! Early 19th Century Pamphlet "Chevy Chase"
For sale is an early 19th century pamphlet of the famous ballad of "Chevy Chase". Original page (or pages) from a 1955 issue of the UK weekly newspaper The Illustrated London News. The newspaper employed many of the talented artists and engravers of the period to illustrate news and events and to entertain. 'Principal entrance of San Giovannie e Paolo; Interior of San Giorgio Maggiore'. Caption below picture:'Principal entrance of San Giovannie e Paolo; Interior of San Giorgio Maggiore'. AUTHENTICITY: This is an authentic historic print, published at the date stated above. The text and images beneath, and to the reverse, are unrelated DATE: Dec 1966. This is a simple A4 sheet folded into four. with untouched sketch ready for painting. Original 17th century copperplate print, 1683. DATE PRINTED: 1683. Title of the print:'Grand Duc de Moscovie'. CONDITION: Good; suitable for framing. The print you will receive is in good condition but there may be minor variations in the condition from that shown in the image. A Christmas / New Year card beautifully printed, attractive colours, delicate lines. Duluth MINN. a lot of three (3) 1897 billheads of. Marshall Wells Hardware Co. These three 121-year old invoices / billheads are in very good condition. They have been neatly been folded. Caption below picture:'Domaine de Galleteau, M.N. Abeilhé, propriétaire'. Antique print. 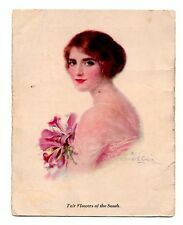 This print is very small - see size information, 1908. DATE PRINTED: 1908. TYPE: Antique print. This print is very small - see size information. Pages have been ripped and separated along the seams. This all adds to the rustic charm. 'Aigle de Suger'. Caption below picture:'Aigle de Suger '. AUTHENTICITY: This is an authentic historic print, published at the date stated above. It is not a modern copy. DATE PRINTED: 1947. CONDITION: Good; suitable for framing. DONATION BROCHURE VG-ESTATE. Condition for age as shown. DONATION BROCHURE VG-ESTATE. I've blown this up big enough so that you can see what your buying. SCROLL TO BOTTOM OF PAGE TO SEE ALL PHOTOS & SCANS. Notes; 18pp. Single Central Vertical Crease. Tear To Top Edge Of Back Cover (4cm) And Bottom Edge of Back Cover (1cm). Slight Vertical Lines Seen In Pictures Are Due To Scanner And Are Not Present On Actual Item. Notes; 4pp. Writing To Front, Back And Inside Of Back Cover. Rusting To Staples. Notes; 4pp. Fold Out Map Of Property. Single Central Vertical Crease. Vertical Lines Shown In Picture Are Due To Scanner And Are Not Present On Actual Item. The plate may need trimming/preparation before framing. VICTORIAN CALLING CARDS salesman samples large lot of 20 name cards tiny! 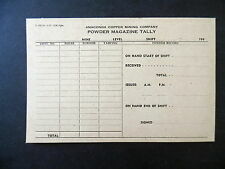 A lot of 20 salesman sample calling cards. 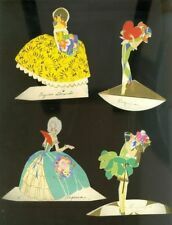 Includes a small paper butterfly that was designed to fly by aid of unwinding elastic band. The elastic has long since dried out. FULL-PAGE ANTIQUE PRINT, SAVED FROM A TATTY COMPILATION OF CELEBRATED VICTORIAN ILLUSTRATOR, PHIL MAY'S WORK, RUSHED TO PRINT JUST AFTER HIS DEATH AT A YOUNG AGE IN 1903 AND. 9.5" x 6.5" (240mm x 160mm) IN SIZE. Original page (or pages) from a 1952 issue of the UK weekly newspaper The Sphere. Normally the date will be to the top of the page. Condition is very good. Worldwide 3.50p. Caption below picture:'Pl. AUTHENTICITY: This is an authentic historic print, published at the date stated above. It is not a modern copy. Antique photographic book plate, 1895. DATE PRINTED: 1895. WWII: Music score. Musical score. Communication is often all it takes to resolve problems. AUTHENTICITY: This is an authentic historic print, published at the date stated above. It is not a modern copy. Antique wood engraved print, 1878. DATE PRINTED: 1878. 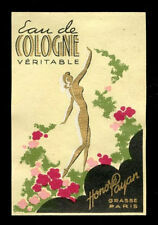 VERSO: There are images and/or text printed on the reverse side of the picture. Title of print (not printed on the page):'Bulwick'. AUTHENTICITY: This is an authentic historic print, published at the date stated above. It is not a modern copy. DATE PRINTED: 1947. CONDITION: Good; suitable for framing. Nice illustrated letterhead dated 1892 hand signed by W H Warvel attorney North Manchester Indiana. Could have genealogy interests. INV11940 16slot. Only have this page not signed and sppears should have been more pages. Could have genealogy interests.